Call for an appointment – Walk-ins welcome! 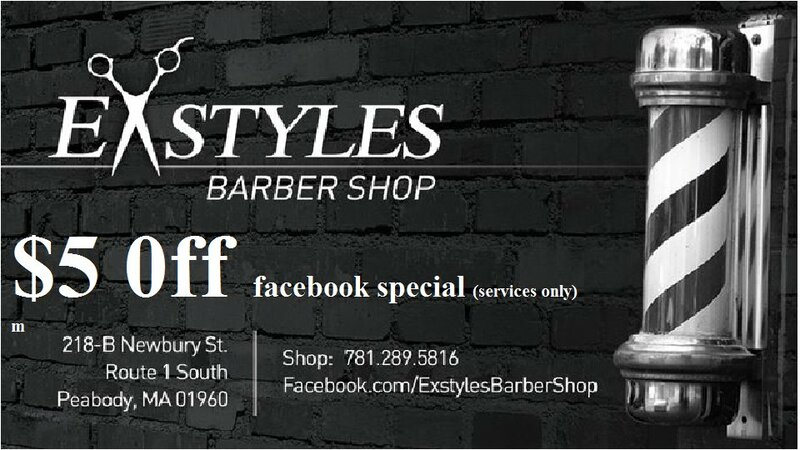 Exstyles Barber Shop is conveniently located on Route 1 South in Peabody, MA. We offer all men’s haircuts, colors, shaves, and more. Stop by for a cut and leave looking your very best! We also carry American Crew and Bosley hair care products. Like us on Facebook and save $5 off your first visit! ~ by Exstyles on February 17, 2012.